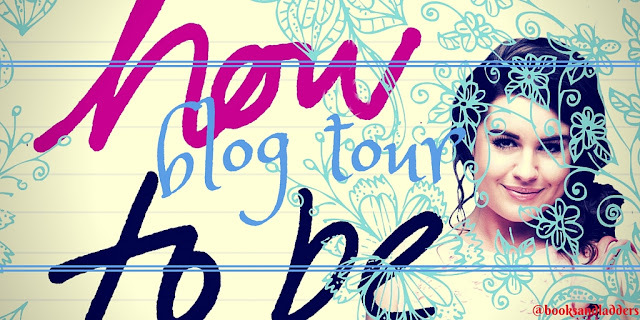 I'm so excited to be a part of the HOW TO BE BRAVE blog tour! It runs from November 3rd to the 17th, so be sure to visit as many stops as you can. 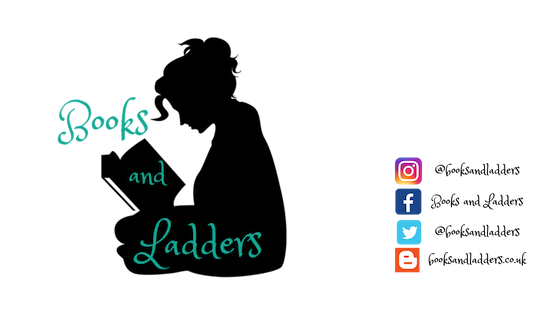 My post includes a review, excerpt, and a US/Canada giveaway. Hope you enjoy my stop today! Have some fun with the interactive book trailer where you can help Georgia decide whether or not to do the things on her bucket list! 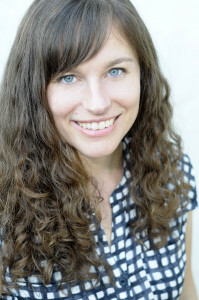 E. Katherine Kottaras is originally from Chicago, but now she writes and teaches in the Los Angeles area. She holds an M.A. in English from the University of California, Irvine and teaches writing and literature at Pasadena City College. She is at her happiest when she is either 1) at the playground with her husband and daughter and their wonderful community of friends, 2) breathing deeply in a full handstand, or 3) writing. She now lives in Los Angeles where she's hard at work on her next book. Find her on her website. I was a little nervous going into this one. I was really excited for it (bucket list, girl's being generally awesome, etc.) so when I started seeing some of the reviews roll out I was nervous. However, I was genuinely happy with my reading of this one. While it is a "Bucket List" book, it is more a "Things I Should Do In High School" book because as Georgia says, she doesn't have a lot of money or a vehicle, so she has to do things that she would actually have access to. Which made it super realistic for me. And she wants to do your typical high school things: cut class, get high, try out for cheerleading. This made it all the more enjoyable because I felt like I was living vicariously through Georgia and her experiences. Georgia was likeable, even when she was doing pretty mean things. But they weren't over the top mean like some other stories I have read, and they were pretty understandable. And I think a lot of how she handles conversations at the end were really mature and hit home in all the right places. I really liked the secondary characters and thought they were all well developed. They weren't just plot pieces in Georgia's life, they had their own stories, own arcs, and own problems. I also really liked that the mentally ill character wasn't the main focus but a secondary character. And yes, there is a trigger warning for a suicide attempt, I will spoil that so people are aware. Otherwise, I think this is a great coming of age story, one that I recommend to people who are still trying to figure out their lives. Because sometimes we all need to be a little brave even if that scares us. They saw how you were big, planetary, next to them. who were never my friends—they laughed at you, quietly. And you said: It’s fine. It’s fine. you said: I am big, yes. But I am beautiful, too. Her mother pulled her child away. She left the line and let us go first. I didn’t say: You shouldn’t have come. I didn’t say: I don’t want you here. But I also didn’t say: I love you. Or: Thank you for being brave. I don’t want to go. I don’t want to face them. You are possibility and change and beauty. One day, you will have a life, a beautiful life. Now, it’s not like that anymore. It’s quiet in our house. Too quiet. Especially tonight. The day before my first day of senior year. The A/C hums, the fridge hums, the traffic hums. I’m standing at my closet door, those old knots churning inside my stomach again. I don’t want to go tomorrow. I need to talk to her. Instead, I’ve done what she always did for me the night before the first day of the school year. I’ve picked out three complete outfits, hung them on my closet door. It’s a good start, I guess. Outfit #1: Dark indigo skinny jeans (are they still considered skinny if they’re a size 16? ), drapey black shirt, long gold chain necklace that Liss gave me, and cheap ballet flats that hurt my feet because they’re way too flat and I hate wearing shoes with no socks. Outfit #2: Black leggings, dark blue drapey knee- length dress (draping is my thing), gold hoop earrings that belonged to my mom, and open-toed black sandals, but that would mean a last-minute half-assed pedicure tonight. A spedicure, if you will. Outfit #3: A dress my mom bought for me two years ago. The Orange Dress. Well, really more like coral. With embroidered ribbons etched in angular lines that camouflage my flab. Knee-length (not too short/not too long). Three-quarter-length sleeves (to hide the sagging). It’s perfectly retro. And just so beautiful. Especially with this utterly uncomfortable pair of canary-colored peep-toe pumps that belonged to my mom. I begged her for the dress. I made her pay the $125 for it. I knew my parents didn’t have the money, but I couldn’t help crying when I saw myself in the mirror. It fit (it’s a size 14), and I think she saw how pretty I felt because I did feel pretty for the first time, so she charged it. But I’ve never worn it. The day after, she went into the ER, her heart acting up again. She needed another emergency stent, which meant more dye through her kidneys, which meant dialysis a few weeks later, which meant the beginning of the end of everything. I never put it on after that. It’s just so bright. So unlike everything else I wear. I could wear it tomorrow. I could. And if she were here, she would tell me to. It’s just so quiet in this house. HOW TO BE BRAVE by E. Katherine Kottaras. Copyright © 2015 by the author and reprinted by permission of St. Martin’s Griffin. 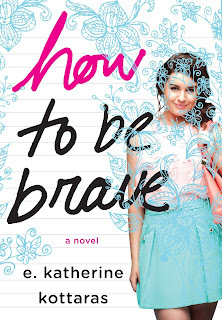 One copy of HOW TO BE BRAVE; US/Canada only!